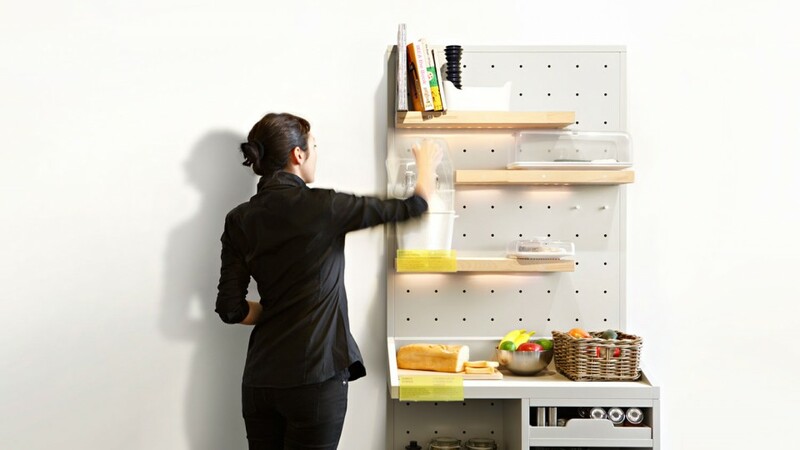 Reflecting a world of increasing everyday automation but decreasing natural resources, these kitchen concepts include flexible storage for on-demand food and high-tech responsive surfaces as well as a series of strategies for at-home sustainability. 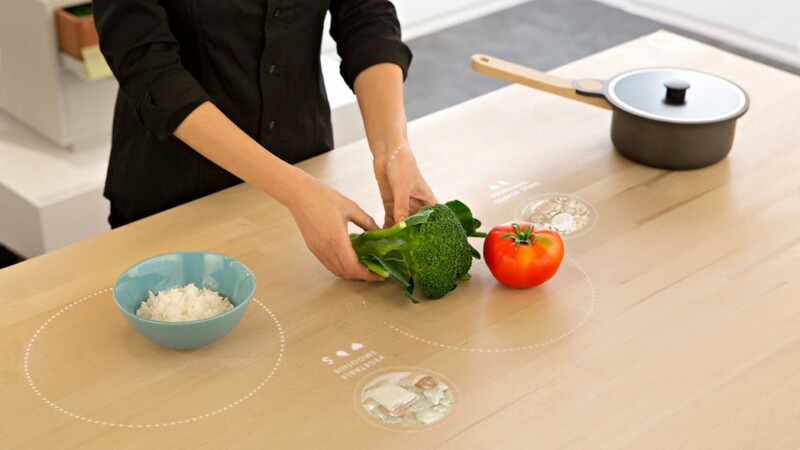 The table at the center of the design serves as a key interface, teaching people how best to prepare food in realtime, made and cooked right on a central multi-functional surface with ingredients perhaps freshly delivered by drone. Each premise (and promise) of IKEA’s Concept Kitchen 2025 is based on reasonable extrapolations of current trends: easy-to-order ingredients and semi-automated meals, for instance, mean less need for conventional storage space and rising demand for modular storage. These modules could be put on powered shelves for cooling then heated up with a digital command, all without even changing containers. Anticipated drones (be they aerial ones or simply driverless cars) and the on-demand economy mean more easily scheduled delivery of food and automatic repurchasing of everything from raw ingredients to full meals, resulting in slimmer pantry requirements and lower storage energy needs. 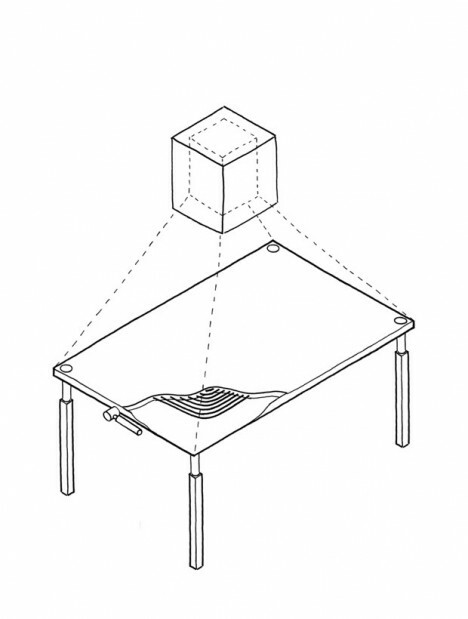 It is not too much of a stretch to imagine a Kinect-like device hovering over your kitchen island, sensing and responding to your movements below, whether you are in the process of cooking, working or playing with your kids. Built-in heating elements let you stand, prepare and cook in one place while getting live feedback or instructions as you work. It also seems like a logical extension of current conditions and technology to assume kitchens will (and should) be better equipped to sort out our recycling and help save water through graywater systems and other measures. With less space needed for food, more can be put toward green systems that save time, energy and money as well.